What is Liferay DXP? or What is Java Liferay? or What is Liferay in it? or What language is Liferay written in?. In 2016 Gartner accredited Liferay as a leader in the Magic Quadrant for Horizontal Portals for the seventh year in a row based on parameters such as market understanding, sales strategy, innovation, core product and services offerings, financial health, customer experience and market responsiveness. It was the same year when Liferay introduced next level of its enterprise edition as Liferay DXP that got a warm welcome from both the developer community and the enterprise. Liferay DXP is a revolutionary version of Liferay that has entitled it as a competent technology platform rather than an enterprise portal solution. In general, the concept of Enterprise Architecture is mainly about structuring the logic for various business processes aligned with the enterprise’s growth plan. IT strategies are developed and implemented to standardize the business processes in line with company’s operating model with minimized possibilities of risk. Liferay DXP is the right tool to create potential sync between Enterprise Architecture and Information Technology strategy of a visionary enterprise. Liferay DXP enables the development of massive, complex and integrated technology applications specifically designed not only to address each of your business challenges but also act as a potential driving force for your business. When it comes to the selection of right technology, analytical and fact-based approach plays a critical role in making a fruitful decision. All in all, Liferay DXP provides the practical solution that actually works. Additionally, with low TCO and adequate ROI, it is flexible enough to drive strategic growth for the future. 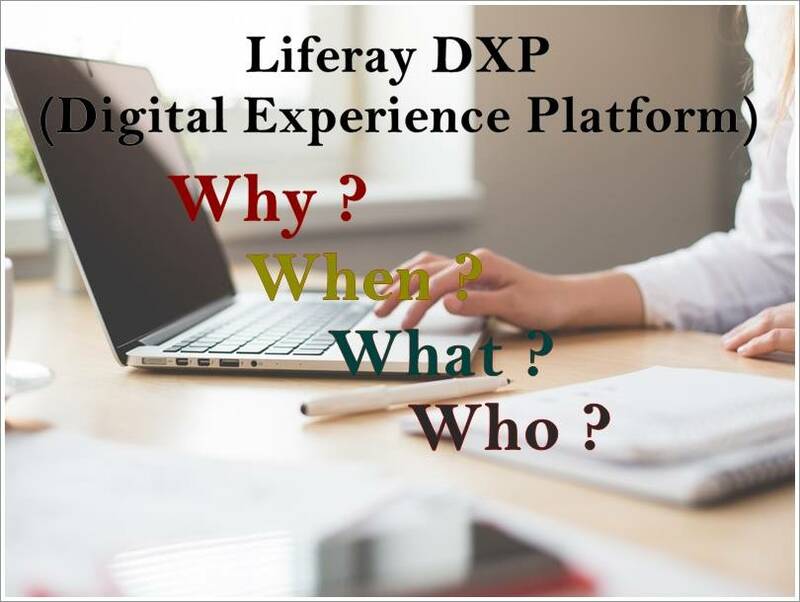 Apart from being used and acknowledged by globally leading organizations, Liferay DXP is strongly advocated by technology experts as well due to the functional beauty and technical capabilities.